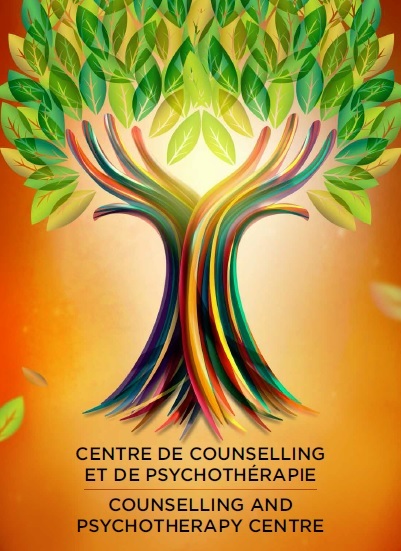 Counselling Ottawa, ON: Caring and Competent. Find the right therapist near you. Whether you're looking for extra support through a challenging situation or you're ready to deal with longstanding issues, I'll help you build on your strengths and achieve your goals. Depression and anxiety are extremely common issues that affect millions of people. As you consider Ottawa Counselling, be reassured that the concept of therapy is overwhelming and scary to many people. As you think about working with a psychologist or counselor on personal issues in your life, it can be hard to understand how sharing such intimate aspects of yourself will be helpful. The nature of a therapist is not just to be educated, but also to be compassionate and considerate of the personal nature of what you are wanting to work through. A therapist Ottaway will maintain your privacy, while taking only the relevant information that will be needed to move you through the situation you are faced with and helping you to find healing and a promising future from the issues you are struggling with. Learning to trust your therapist is part of the process and will aid in you feeling safe as you begin to face the anxieties you have. Counseling Ottawa, ON is a first step towards moving beyond the pain and limiting nature of the issues you face. And while therapy may be a difficult choice, we also believe it can be one of the most rewarding, as experiencing personal freedom is an immense benefit from seeing a counsellor. Other Areas of Practice: Relationship counsellor Ottawa ON, communication therapy, psychologist help, affair and infidelity help, eldercare, divorce therapist Ottawa ON, separation, eating disorders, and depression. Additional specializations include grief counselor Ottawa ON, pre-marital counseling, husband, wife, Christian marriage counselling Ottawa ON, debt counselor, parent-teen issues, psychotherapist and adolescents. Children, family psychotherapist Ottawa ON, in-laws, chronic pain, sexual abuse, and couples counseling. Ottawa, being a logging town, was known for lumber milling and square-cut timber in North America. In 1916 the Centre Block of the Parliament Buildings was destroyed by fire and a new structure was completed in 1922. The Gothic style structure is known as the Peace Tower which is the emblem of the city today. In 1945, a clerk defected from the Soviet embassy carrying secret documents and made his presence in Riverview Ottawa. Counselling Ottawa ON will bring restoration to broken and difficult relationships and a new exciting direction in your life. The therapist you choose should be well-regarded in his or her field, have years of training and experience in mental health and counseling, and be a proficient counsellor or psychologist in many forms of therapy. When the Royal Canadian Mounted Police looked at this evidence it proved that a Soviet spy network was operating in western countries even though the Soviets were allies of Canada and Britain. Thus, the Cold War was noted along with the discovery that the Soviets were attempting to match an atomic bomb similar to the Americans. Along with identifying and understanding issues, counseling Ottawa will develop new goals with a practical plan for positive change. In 1857 Queen Victoria chose Ottawa to be the Capital of Canada, located on the Ottawa River which is a major waterway between the Provinces of Ontario and Quebec. The early settlers depended almost exclusively upon the timber trade transporting the product by river from the Riverview Ottawa Valley to Montreal. The White Pine tree, having a straight, strong trunk was an exclusive export. Irish Catholics and Protestants began immigration to the area and along with French Canadians from Quebec, labor was provided for the Rideau Canal project completed in 1832, which aided in Ottawa being routed between Montreal and Kingston on Lake Ontario. This provided an accessory passing of the St. Lawrence River which bordered New York State and avoided the American conflict with the U.S.A. Today. Christian Counselling Ottawa, ON will give you new life-tools to overcome and move forward into a better tomorrow while emphasizing spiritual and faith based parts of your life. Your counsellor Ottawa will help guide you across the plane you are stuck in and move you up the ladder to a new plateau of joy and living. Upper Town on the canal is where the Parliament buildings were located, Centre Town is the downtown and Lower Town is the older part of the city.